The biggest amateur mixed martial arts fighting championship in Asia, if not the world has finally reach its finale. It was a night of great achievements and huge upsets. 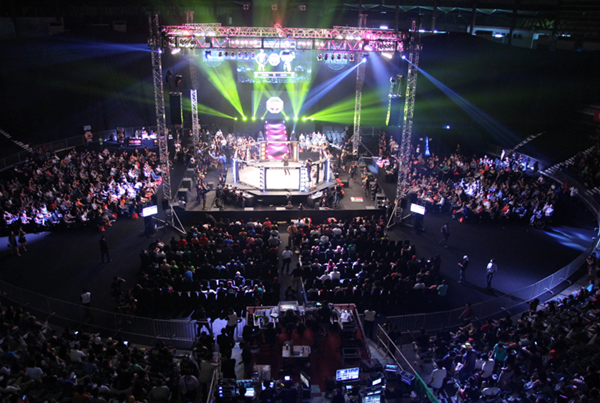 Thousands at Stadium Negara, and millions of viewers worldwide witnessed the immense and intense battles between the crème de la crème of the amateur MMA scene in Malaysia. 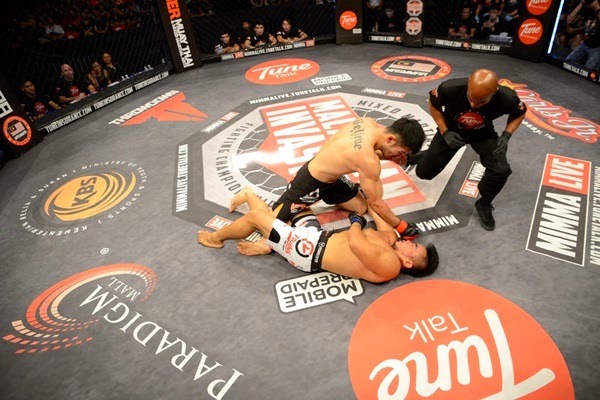 The second season of The Malaysian Invasion Mixed Martial Arts (MIMMA) might have ended, but this is just a start to a new uprising. Sarawakian Stephen Onn, who dominated his preliminary fights, took on defending middleweight champion Jim Chong, who trains with the pioneer of Malaysian MMA, Melvin Yeoh. Experience proved to be the deciding factor as Jing Yi dictated the whole fight, which lasted 36 seconds and produced the first knockout of the night. Fighting to retain his bantamweight title, Super Prabu Somanaidu was a bit cautious early on and Jenarten Radhakrishnan seemed to dominate the first round. In the second round, Super took it up a notch and landed a few good strikes and took the win via referee stoppage. The crowd went crazy as policeman, Muhammad Hasrul entered the cage to battle it out with Sabahan Richie Celestial for the lightweight title. The Silat practitioner knew that he needed to stay off the ground, as Richie is a BJJ specialist. Hasrul’s heavy hands produced the second knockout of the night and he became the new MIMMA Lightweight Champion. In the second professional fight of the night, the limelight was on Krav Maga specialist Lenny ‘The Show Stealer’ Wheeler and Italian import Massimo ‘The Zen’ Capusella where they battled it out in the cage in the lightweight bout. Wheeler definitely stole the show with his aggressive attacks and won the fight via referee stoppage. Kenny Yap, who chalked up three professional wins since winning the flyweight title in last year’s MIMMA, returned to the cage to face Seah Zhang Yu who was roped in last minute to replace Muhammad Aiman who failed to make weight. Evidently, 24 hours was more than enough for Seah to prepare as he defeated Kenny Yap with a knockout and earned the title as the new MIMMA flyweight champion. Fighting over the heavyweight title vacated by last year’s champion Adrian Tham is BJJ specialist Darren Low and Mohammad Zulhanizam also known as 50 Caliber. Right from the start, both parties got the crowd going as they tried to land a strike on each other but it was Darren who made Sabahans everywhere proud when he took home the belt with a takedown and Kimura. In the welterweight bout, Agilan Thani lived up to his nickname of ‘Alligator’ as he locked horns with Ooi Aik Tong who is back to defend his title for the second year. Agilan was adamant on winning the belt as he kept coming at Ooi and finally managed to take down Ooi in the second round and won via Ground and Pound. Coming into the cage for the co-main event- the professional bantamweight bout- was Filipino-American sensation Mark ‘Mugen’ Striegl and Australian veteran Kaiwhare ‘Kai’ Kara-France who were both out to prove themselves after coming off from a loss in their respective matches previously. Mugen was in top form as he performed a rear naked choke and Kai had no choice but to tap out. The final match of the night was none other than the much-talked about professional open weight match between the well-known Asian MMA veteran Will ‘The Kill’ Chope and professional mixed martial arts debutant Matt Pellino also known as Liquid Monkey. Pellino put his wrestling skills to good use in the first round and the match entered its second round where Chope ended it with a triangle choke.